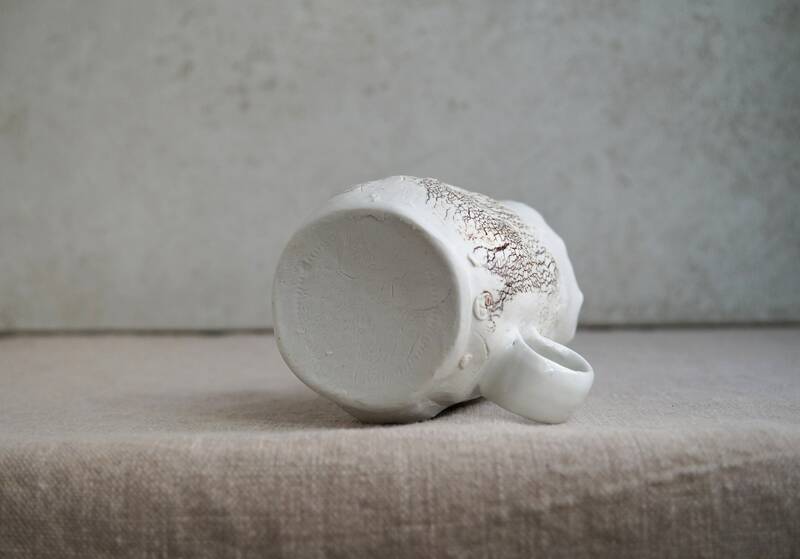 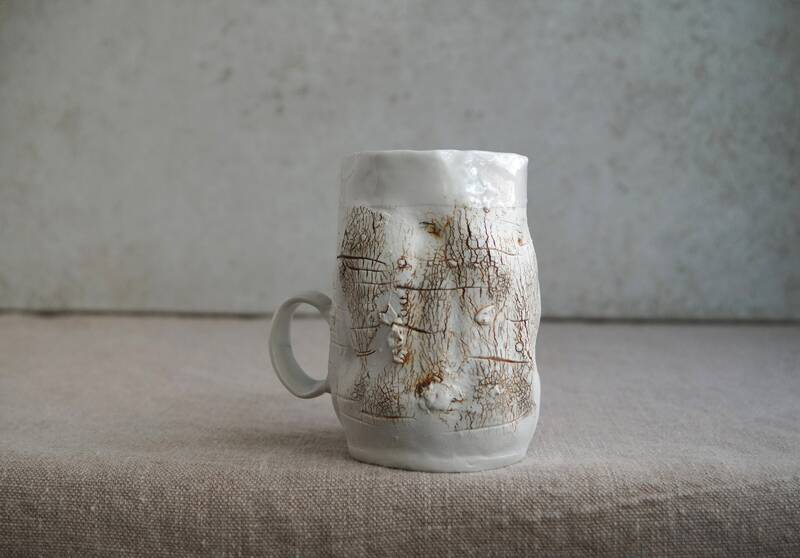 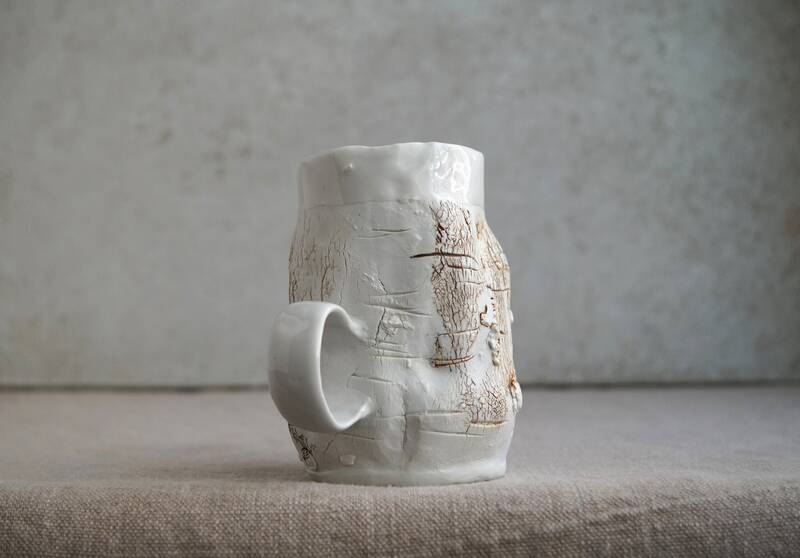 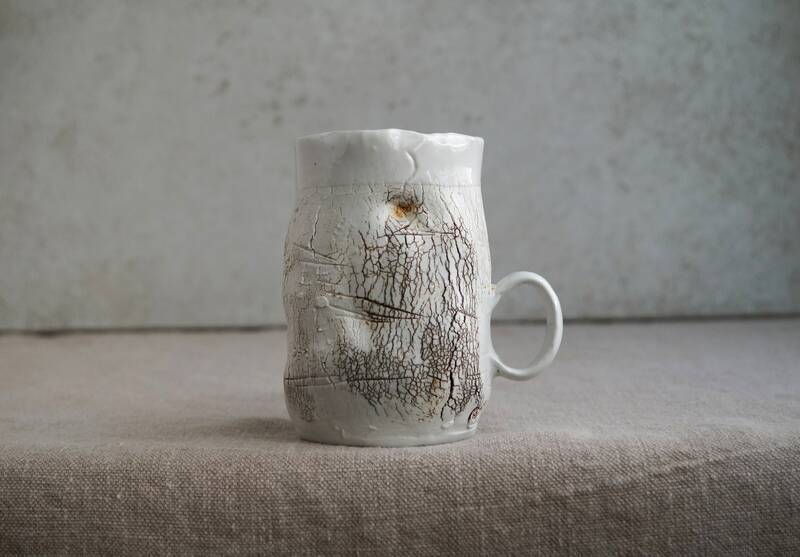 Whimsical mug in Glossy Glaze inside adorned with the impression of bark texture. 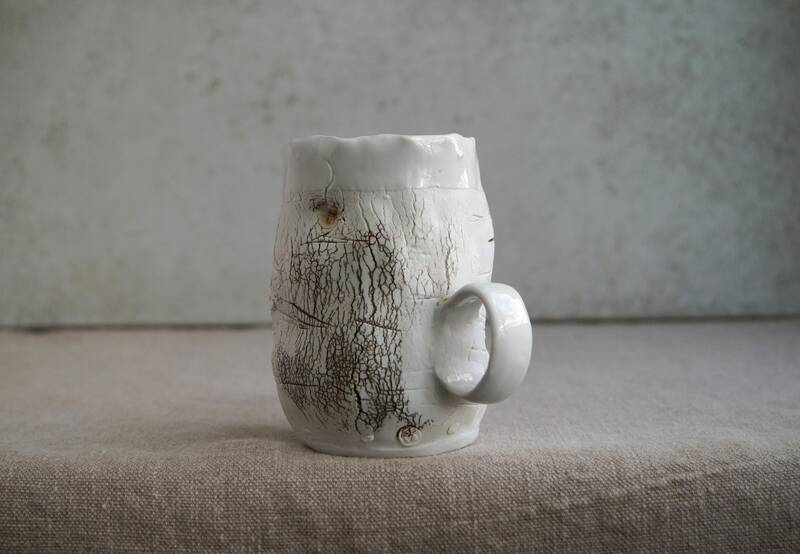 The ceramic mug fired two times, once to temper the ware for glazing, then a second time to over 2300° F/1330 C in gas kiln. 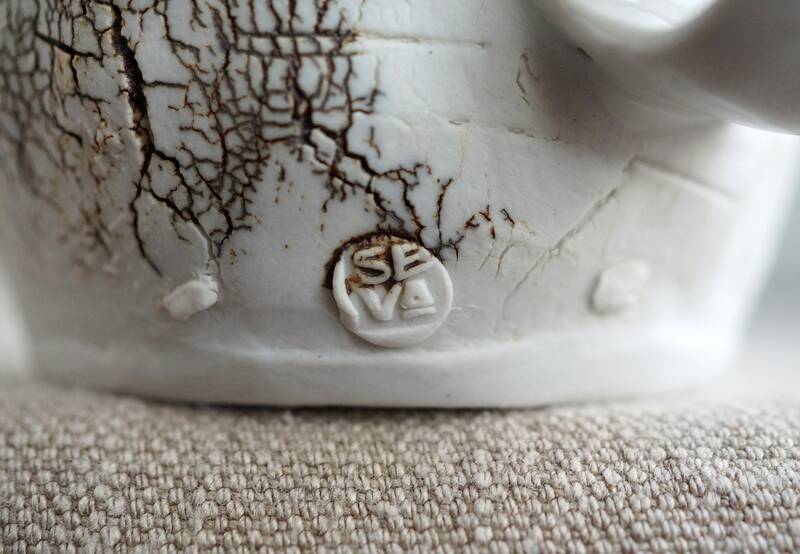 This temperature is at the top of the firing range for ceramics and makes the clay very strong and vitreous. 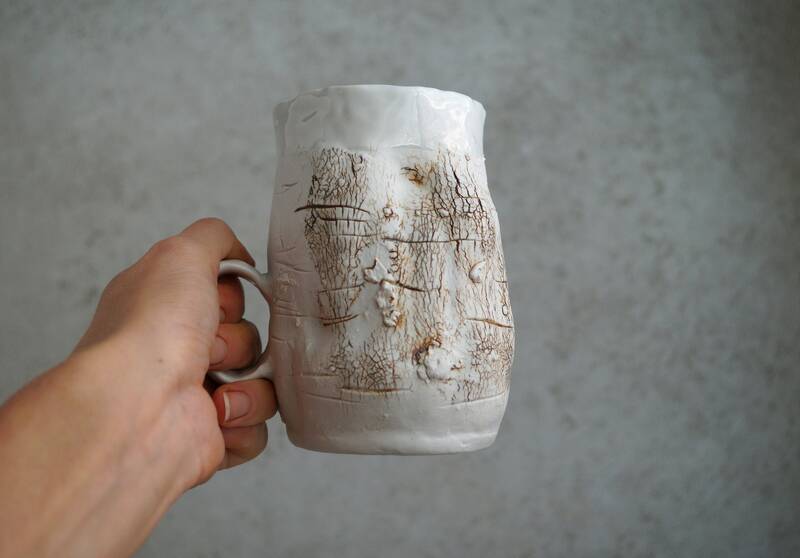 The technique involves by using sodium silicate and a heat gun to quickly harden the outside surface of a freshly porcelain clay. 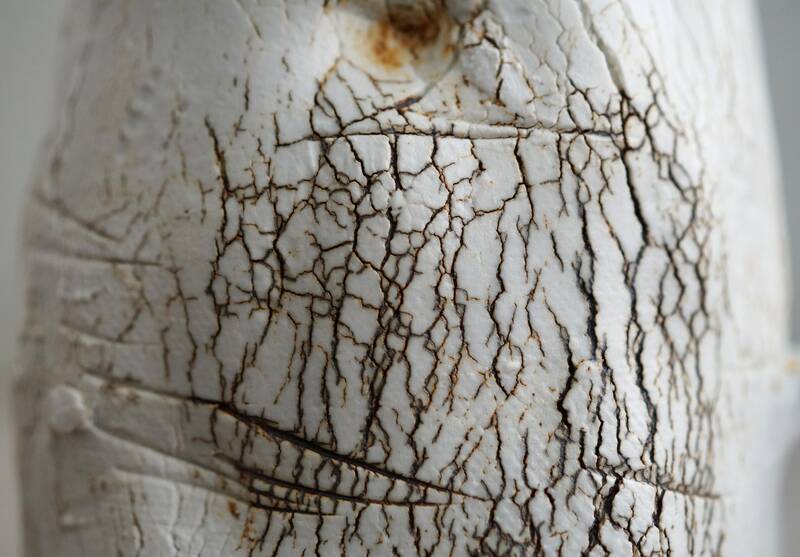 Then it been stretched from the inside, creating a lovely cracked texture on the surface. 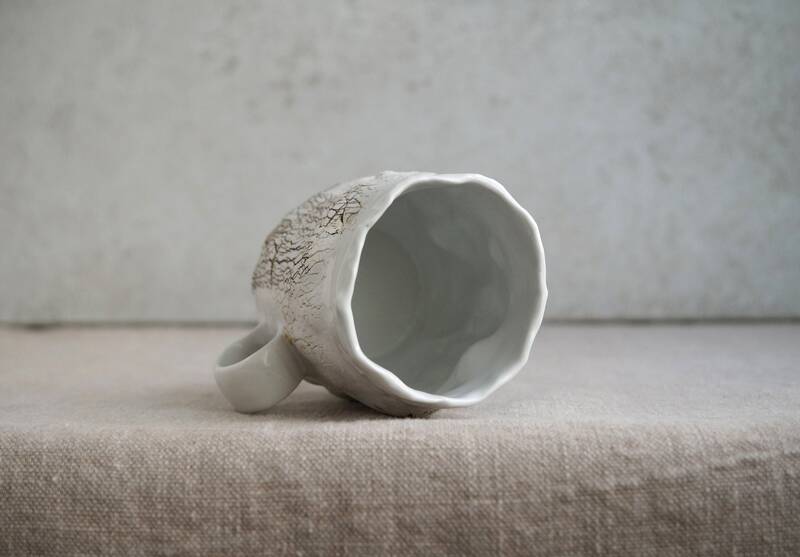 All of my pieces are food, dishwasher and microwave safe (lead-free and non-toxic).